As with all luxury Cotswold hotels, the Lords of the Manor knows that when it comes to great service, the guests’ comfort is the most important thing. By incorporating a variety of options within their wonderful spa treatment packages, guests can choose to enjoy their experience in quiet solitude, alongside a partner or loved one, or be pampered with some friends. The selection of treatments available perfectly complement each other. A full-body massage will attend to the tension in every part of the body, while a shorter Swedish massage concentrates on relieving the pressure in the upper body, promising relaxation that perfectly captures the atmosphere of luxury Cotswold hotels. Further treatments include facials, foot reflexology, manicures and pedicures, with make-up services an optional extra for group bookings. 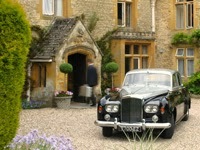 The flexibility of the procedures highlights the freedom of luxury Cotswold hotels. Groups can contact the spa team directly to organise the details of group packages. If you’ve got other plans throughout the day, the team can offer express options to fit around your schedule. There is no limit on when to enjoy the beauty packages on offer; guests can choose to begin or end their country getaway with any one of the magnificent treatments, or simply book themselves in during their stay. With the range of charming and spacious bedrooms available, it can be hard to leave the comfort of your room, and that isn’t a problem; the salon experience is brought by the Phoenix Rose Beauty team straight to you. Ethical concerns are of high priority at the Lords of the Manor, and these are reflected in the choice of products. Only the Pure Bliss range, manufactured in the local village of Burford, is used during treatments, free from artificial colours and aromas, with no products tested on animals. The therapeutic elements of the spa treatments are immediately identifiable with the environment of the Lords of the Manor. Boasting eight acres of gorgeous landscape, the view from your bedroom window is one of the most delightful of all luxury Cotswold hotels. Whether you’re taking some personal time with a long, full-body massage in the privacy of your own room, or enjoying the benefits of beauty treatments with your closest friends, one look through the window will assure you that this is your country break, and that it’s time to start relaxing. For further details and information from the Phoenix Rose Beauty team, please visit our website and see what would suit your needs.